This species is more or less restricted to the outer edges of the various sand dune systems around the coast. 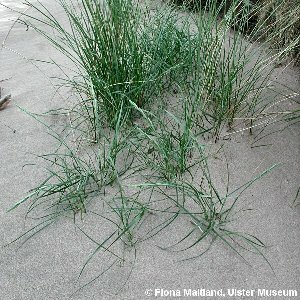 It is an able colonizer of bare windblown sand on the uppermost sandy seashore, but is replaced by marram-grass (Ammophila arenaria) on the dunes inland of the beach. Also known as Agropyron junceiforme. All names: Elytrigia juncea (L.) Nevski; Agropyron junceum (L.) P.Beauv. 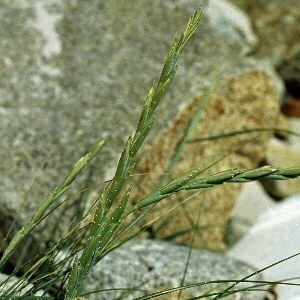 ; Elymus farctus (Viv.) Runem. ex Meld. & D.McClint; Elymus junceus Fischer; Triticum farctum Viv. ; Triticum junceum L.